Successfully saved Sriracha Salmon Tacos to your Calendar. You can also save the ingredients to your Grocery List. 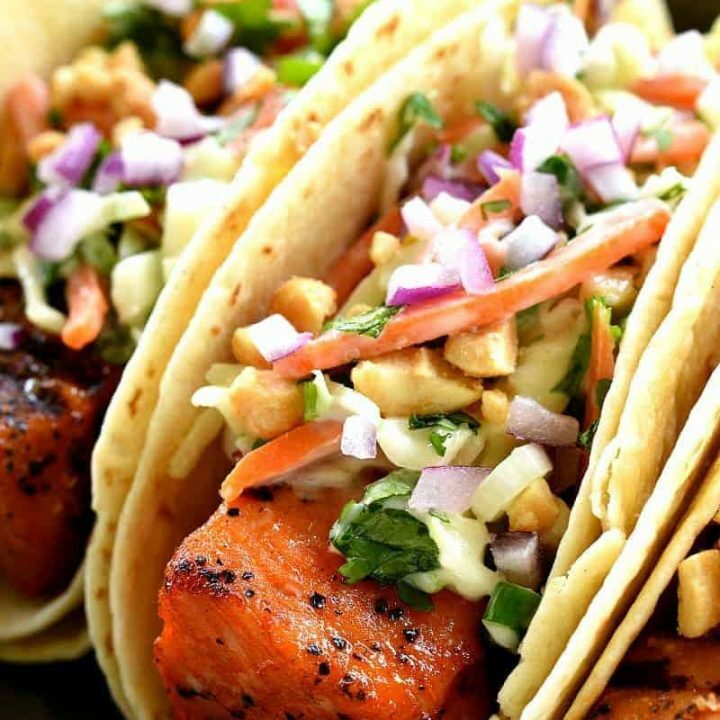 If you love salmon, you'll adore these Sriracha Salmon Tacos! They're topped with a simple Cilantro Lime Cole Slaw for the perfect balance of spicy and sweet. The BEST way to mix things up on taco night!